On Thursday, Russian President Vladimir Putin said that he is more than willing to join the Belt and Road Forum for international cooperation. The forum is scheduled for May 14-15 in Beijing. 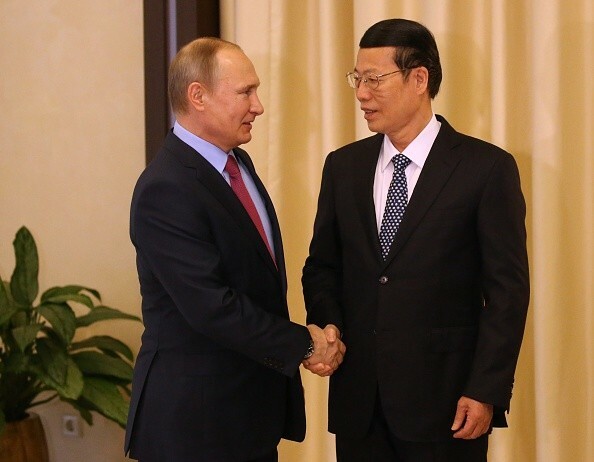 Putin confirmed his attendance during his meeting with Chinese Vice Premier Zhang Gaoli. Zhang visited Moscow for the fourth meeting of the China-Russia Investment Cooperation Committee and for the meeting with the Russian head of the China-Russia Energy Cooperation Committee. In 2013, China launched the Belt and Road Initiative, aiming to create a trade and infrastructure network linking Asia with Europe and Africa through the trade routes of the ancient Silk Road. Speaking to Putin, Zhang said that Russia is deemed by China to be a significant partner among the Belt and Road countries, adding that Beijing will prepare well for the Russian President’s attendance. The integration of China’s Belt and Road Initiative and Russia’s Eurasian Economic Union is a strategic agreement reached by the presidents of the two countries, Zhang said. According to the vice premier, China has placed great importance on the Russian initiative and related ministries from both countries are planning a specific course of action to advance the integration. Zhang appealed to both parties to hasten the building of major energy projects, boost two-way investment and finance cooperation so as to support common development. Putin lauded the rapid increase in the two-way trade volume since 2016, mentioning the development in the bilateral trade structure. The Russia-China cooperation on major energy projects has progressed well, he said, stating the smooth advancement of the east-route gas pipeline project and Yamal liquefied natural gas (LNG) project and the continuing negotiations for the west-route gas pipeline projects. According to the Russian President, his country is open to the active participation of investors from China into its economic growth. Putin has also asked the two sides to discover new areas of cooperation so as to increase the momentum of the strategic partnership of comprehensive coordination. Included in Zhang’s three-day visit in Moscow were meetings with Russian oil company Rosneft’s chief Igor Sechin and with Russian natural gas company Gazprom CEO Alexei Miller. The two parties discussed on how to boost cooperation. Putin’s commitment to join the Belt and Road Forum has strengthened the China-Russia relations. Both countries are looking forward to an increased cooperation following the forum.